They must have changed the recipe. I thought it started out as "Nancy Pelosi IPA". Same logo, just different beer. Glad you get a kick out the labels. I enjoy making this stuff up. ...the brand logo of this administration that's closest to this one that I'm aware of is Rahm Emanuel's "Flying Monkey", & that one was recently discontinued. That's Rahm Emanuel's "Dead Fish Ale" & yes it was recently discontinued. 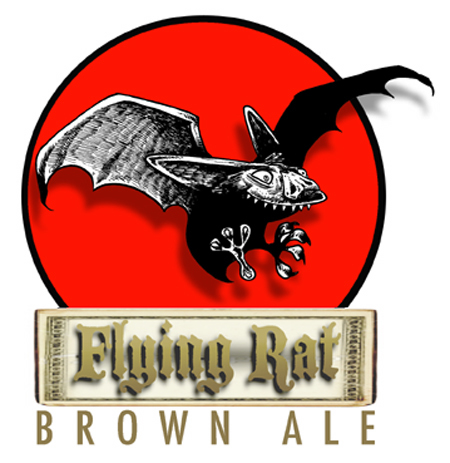 "Flying Rat: one bottle and you'll see things you never knew existed." Flying Bat, with a BITE you'll never forget! You may be right, Cowboy--but Rahm Emanuel certainly looks like Nikko to me. This page contains a single entry from the blog posted on October 2, 2010 6:11 PM. The previous post in this blog was Binary Update. The next post in this blog is Braves Manager Bobby Cox.